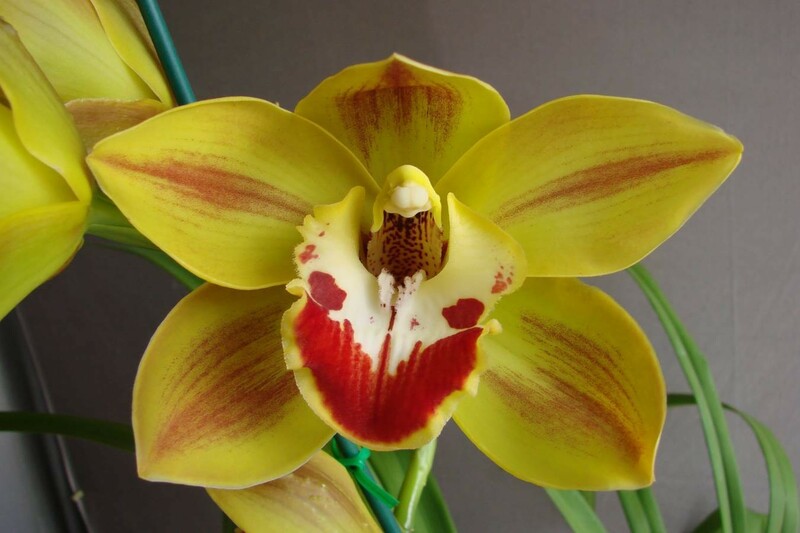 This orchid originated in New Zealand and is an usual coloured standard having a yellow/green background overlayed with red in the middle of the flower segments and a strong bright red barred labellum. From the parents of Coraki and Claudona. Late in the season flowering.